This is not a Walt Disney production, but rather it is a brief story about a genteel lady, who recently passed away at the age of 101 years and 5 months. She was a very dear friend of my late mother, who died in 2006 at the age of 89. Although this lady was born in the USA, her family moved to Canada in the early 1930’s, where she grew up and spent the rest of her very long life. When I heard from her daughter that this lady had died, I started to think of all of the innovations in food and technology she must have experienced since her birth in 1916, and also those witnessed by my own mother, who was born in 1917. What most of us take for granted now wouldn’t be on the dinner table or in our households for many years to come. In the year of this genteel lady’s birth, the first mass-produced electric refrigerators were available to the general public, for $900. 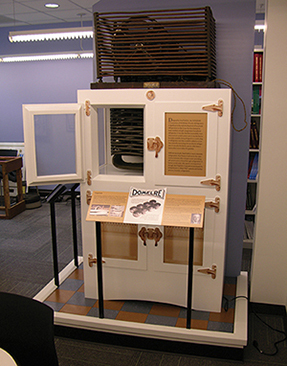 DOMELRE (The name DOMELRE is a contraction of DOMestic ELectric REfrigerator) was a very early model. 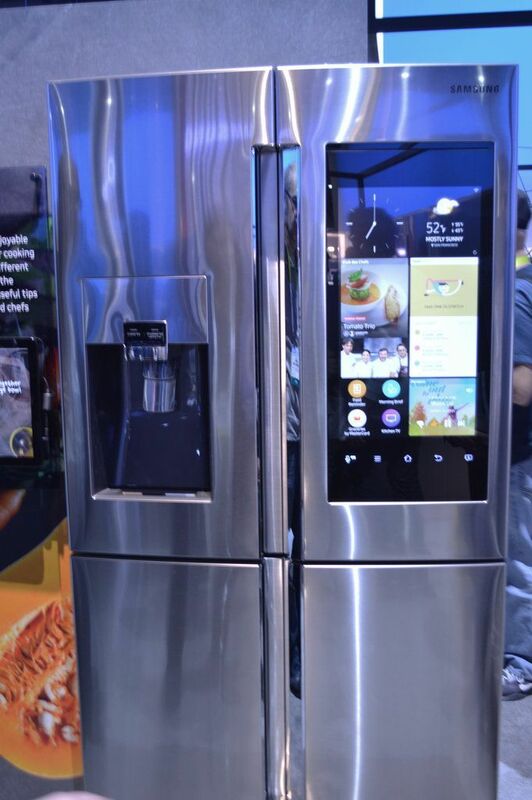 Given inflation, in 2017, that same refrigerator would be worth $21,096 ! No wonder not many families could afford them in 1916! 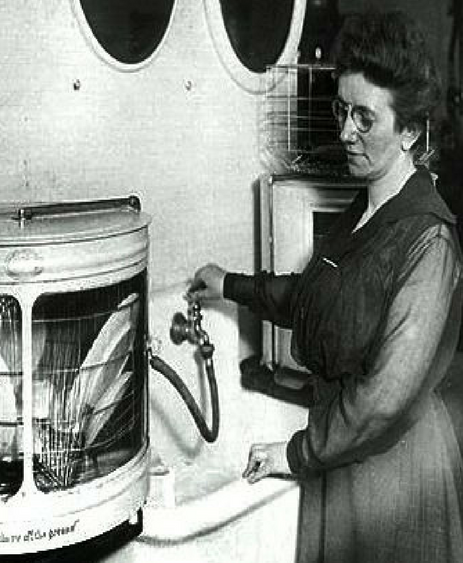 However, her parents might have been able to purchase the first commercially available automatic dishwasher, which Josephine Cochrane created as an improvement on an earlier version from the late 19th century. She showed the dishwasher at the 1893 Chicago World’s Fair, but only restaurants and hotels showed an interest in it. Cochrane founded a company to manufacture her dishwashers, which eventually became KitchenAid®. 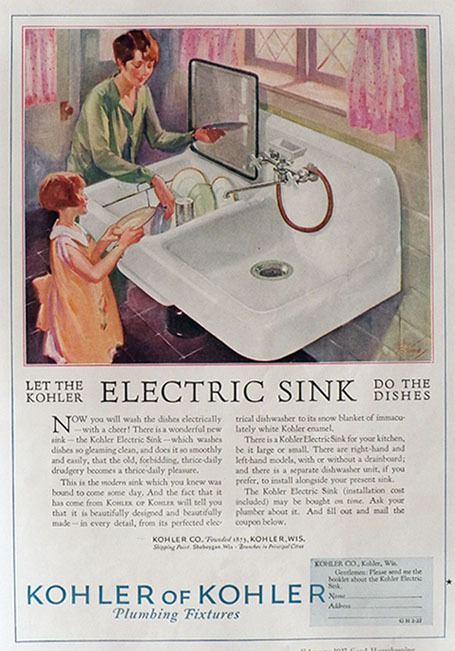 In 1927, Kohler invented the “Electric Sink”, which advertised “Let The Sink Do the Dishes“. 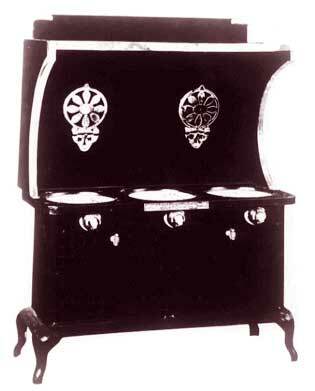 The first “electric cook stove”, invented by The Hughes Electric Heating Company was founded in Chicago by George A. Hughes (1871-1944) and was displayed at a convention in St. Louis, Missouri, in 1910. Whether our lady grew up with one as a child is unknown. 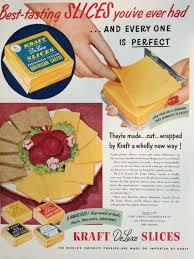 Also, in 1916, James L. Kraft applied for the first U.S. patent for a method of making processed cheese. 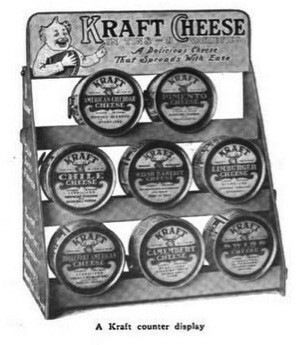 But our genteel lady would have to wait until 1950 to make a sandwich using the first commercially available, shelf-stable, processed cheese slices. 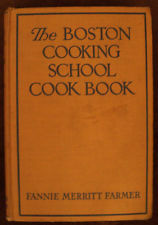 Her mother would not have had a copy of “The Boston Cooking School Cookbook”, by Fannie Farmer, on her kitchen shelf. It wasn’t published until 1918. Although she was too young to imbibe, if our lady had been “of age”, she would not have been able to purchase alcoholic beverages. In 1920, Prohibition began in the USA, which banned the sale of all alcoholic beverages. This grand lady was 8 years of age, when Caesar Cardini, of Tijuana, Mexico, “invented” the Caesar Salad in 1924. While she spent the majority of her life in Canada, American products were, for the most part, available to Canadians. 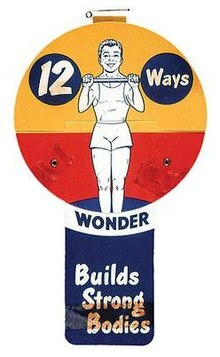 She probably had home-baked bread, since “Wonder Bread” did not debut in the USA until 1921. 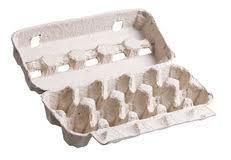 There were no “Birds Eye Frosted Foods” in her mother’s freezer in the 1920’s (if she had a freezer). Charles Birdseye didn’t patent his products until the late 1920’s or early 1930’s. It was not until this grand lady was 7 years old, in 1923, when she might have been able to taste Welch’s Grape Jelly or Sanka Coffee (which her parents probably prohibited her from sampling!) 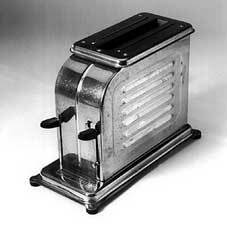 However, she likely wouldn’t have been able to put jelly on her toast until the “Toastmaster”, a pop-up toaster for households, was available in 1926. In 1927, at the age of 11, she would have been too old to slurp up the newly marketed Gerber’s Baby Foods, but she might have been able to purchase a Pez Candy Dispenser for a few pennies. 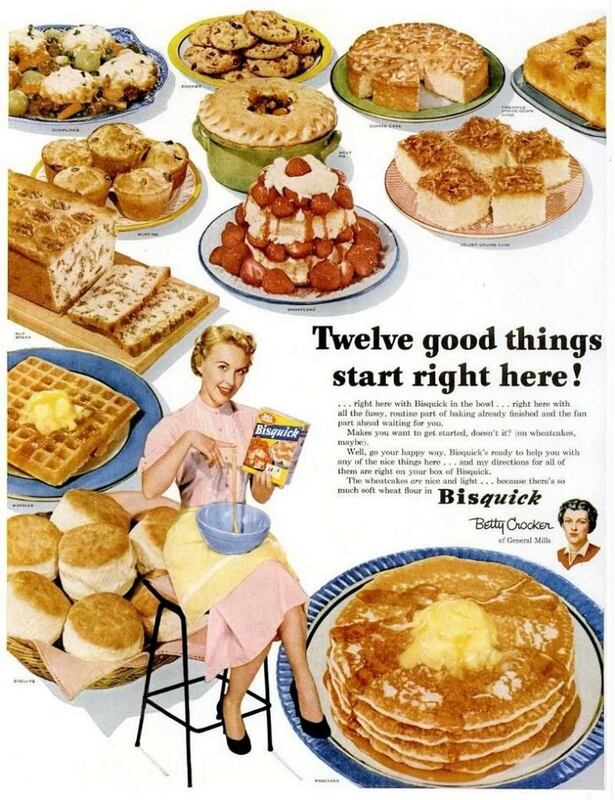 Between the ages of 14 through 23, this grand lady would have witnessed a plethora of foods available to consumers, that for most of us, have been around “forever”: Hostess Twinkies (1930), Bisquick (1931), Skippy Peanut Butter (1932), Campbell’s Chicken Noodle Soup (1933), and Ritz Crackers (1934). It was not until this young lady was 20 would she have ever heard of Betty Crocker. Betty wasn’t born until 1936. 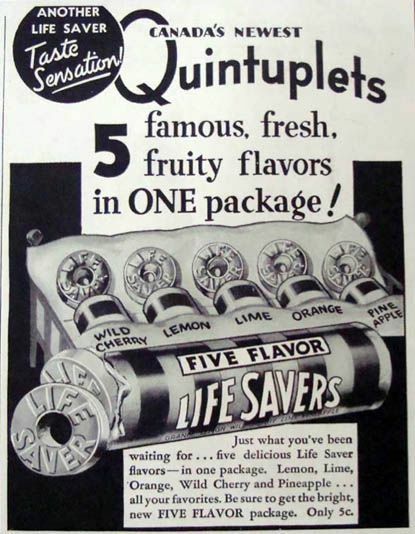 And Lifesavers candy was available in Canada, using the famous Dionne Quintuplets in their advertising. 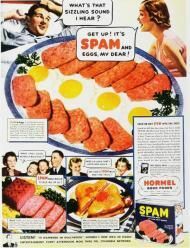 And, no feasting on Spam! That didn’t hit the market until 1937. Not even a Dairy Queen in sight until 1939 in the USA. She would not have been given a TV dinner by her mother, and parked in front of the TV set, at least not until she was 37 years old! 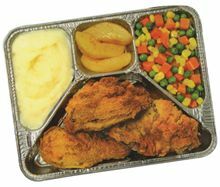 Swanson’s “TV Brand Frozen Dinner” was not available until 1953 and television sets were expensive and generally not really marketed in Canada until the early 1950’s. In her 51st year, 1967, this grand lady would have been able to purchase the first countertop microwave oven available to residential kitchens, by the Amana Corporation. 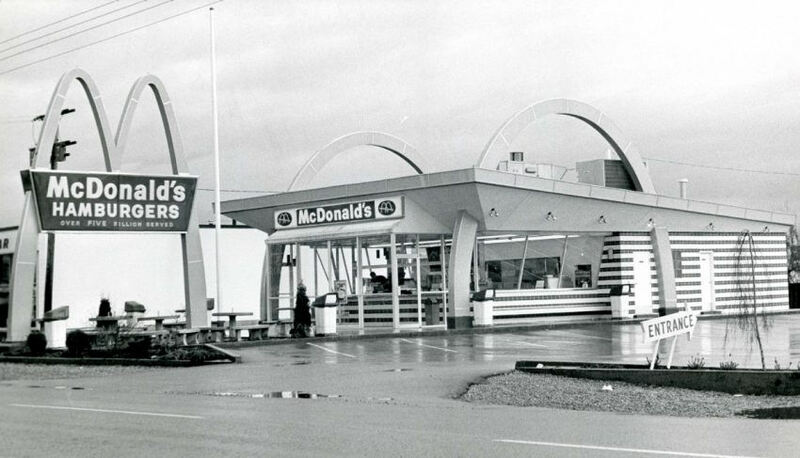 That year, she would also have been able to sample the offerings at the opening of the first McDonald’s in Canada, however, she would have had to travel across the country to Richmond, BC to do so! 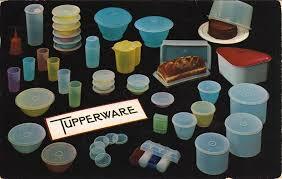 Some of the many utilitarian and household items we now take for granted were simply unavailable to this grand lady until later, for example, “Tupperware” and similar containers weren’t patented until 1948. 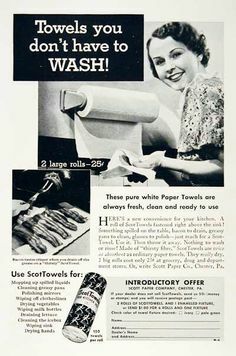 Paper towels weren’t sold for general household use until the 1930’s. If you or I were to take a look around our homes at our possessions, so many of the items were just a twinkle in some inventors’ eye at one time, so to speak. This grand lady would not even have seen a home computer until she was 61, and even then, they were not generally available until she was about 65 years old. Until her later years, there was no e-mail, no IPads or IPods, no Instagram or Facebook, no Internet, no online shopping, no cell phones or laptop computers. Imagine a time when people grew up without these devices, if you can. Imagine not having a mega-TV screen (let alone a TV! ), a smart phone, or a car that can brake automatically and park itself. Imagine no intelligent refrigerator, no LED lights, no jumbo jets, no space station, no vacuum food sealer, no Costco or Sam’s Club, no slow cooker or air fryers. Can you even remember a time when you couldn’t run to just about any local grocery store and have access to more than 35,000 items from around the globe? This grand lady and my own Mom saw it all, the best and the worst. What a time to have lived! This entry was posted in Collecting, Collections, Cookbooks, Cooking and Social History, Cooking Technology, Food Trends, Guinness World Records, New Mexico, Uncategorized, Vintage Cookbooks and tagged Betty Crocker, Canada, cookbooks, Cooking, Guinness World Record, Kitchen Appliances, Kitchen Gadgets, Microwave oven, New Mexico, social history, Sue Jimenez, time capsules, Vintage Cookbooks. Bookmark the permalink. Hi Sue, I’m an editor at Serious Eats, and I’d like to talk with you about a possible interview. If you could provide me with an email address or phone number, I’d love to get in touch. Years ago I worked on a computer project for colleges. I used to have to haul boxloads of punch cards to the computer centre, which was a huge, glassed in room with techs in white coats. The computer was state of the art IBM360. That whole roomful of a computer is now in the smart phones most of us have and carry in our purse or pocket! Amazing. Hi Sue, This post made me think of the Honeywell 316 “kitchen computer” released in 1969. It was the first computer for the kitchen to house recipes. You had to take a computer course in programming just to learn how to use it. Cost $10,000. But no one bought it. I can’t imagine trying to fit it in my kitchen. Your recipe collection wouldn’t fit in this computer because it didn’t have enough memory.